A decade since his last solo effort Keys To The World, one of Britain's finest songwriters returns to showcase new material form his brilliant These People LP. In typical fashion, besides his side project with United Nations of Sound, Ashcroft appears to have been in hibernation for some time. The wait makes the return even more joyous. Accompanied with his band and a full orchestra, the stage is set. As Ashcroft swaggers stage bound from his dressing room, we catch our first glimpse as the screens project his image. Seemingly never without shades nowadays, he opens the set with "Out Of My Body," the opening track and a real focal point from his latest record. A track which perfectly illustrates the diversity and development of his song writing prowess. It's almost New Order-esque with a memorable beat throughout. A superb opener. Jacket off and acoustic on, five minutes in and the crowd are in his palm as he strums the opening chords to "Sonnet." 'Yes there's love if you want it'. Sounding as fresh as ever, there's an abundance of love within the O2 this evening. His soft and melodic sounding semi acoustic Gibson which is evidently his guitar of choice, is the ideal way for us all to absorb his flawless vocals. Not needing to shout over any unnecessary distorted guitars in order to be heard, the arrangement with the orchestra is creative and unique. Still early in the set and two more timeless classics are performed; "Space And Time" and crowd favourite "A Song For The Lovers." Both of which receive ample applause. 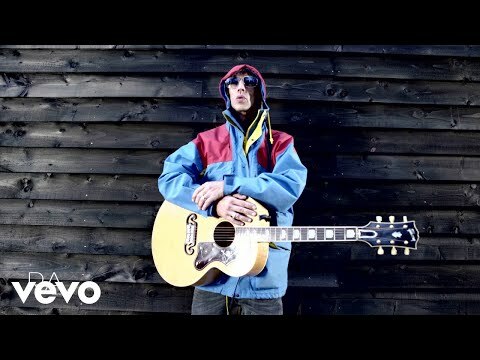 Something which is transparent and credible throughout the set is Ashcroft's appreciation and willingness to engage with his fans. Often taking short breaks dedicating songs to loved ones whilst disclosing certain song meanings, there's a visible connection and intimacy with the crowd. He's in no rush. Presumably he's missed the stage as much as it's missed him. Midway through and another of his best solo efforts is performed, "Check The Meaning." Taken from 2003's Human Conditions LP, it's a great addition to the set. All eight minutes of it. Soon to follow is the superbly crafted keyboard based "Break The Night With Colour." Ashcroft was labelled 'Mad Richard' by the press back in the 90's, partly due to his volatile relationship with other members of The Verve and the rise and premature fall of the band. A band that could have and more significantly should have achieved much greater things. Unfair in more ways than one seeing as Ashcroft has continuously battled depression throughout his life. Music perhaps being the perfect antidote. They say there's a fine line between genius and madness. I'm inclined to believe the former is much more appropriate in this instance. After ninety enthralling minutes of music Ashcroft leaves us with "Lucky Man." He explains how he still loves performing the song and it's somewhat refreshing to hear. With four chords a masterpiece was created and a masterpiece it remains. Darkness falls inside the O2 as he makes his exit. Still applauding upon his return, the sold out crowd sing back the powerful lyrics 'The drugs don't work, they just make you worse'. An unforgettable line from a poignant song. A perfect blend of old and new, the nineteen song set is bang on. "Hold On," the upbeat new single is the penultimate tune of the evening which in turn, paves the way for an inevitable conclusion. With the orchestra in full swing and his glittered jacket back on, the instantly recognizable riff of "Bittersweet Symphony" sounds. An absolute anthem. Remember that infamous video? Thousands leave the O2 as if they are walking that very same pavement.